Normally, I’m pretty easy going. It really takes a lot to really get me mad. Express Scripts, Anthem's pharmacy benefit manager, has succeeded royally. Background: Untreated, I have fairly high cholesterol levels. Over a couple of years my doctor and I have worked out a regimen consisting of 10mg of Zetia and 40mg of Lipitor. Lipitor is a statin, a HMG-CoA reductase inhibitor that blocks the formation of cholesterol in the body. Zetia inhibits the absorption of cholesterol in the small intestine. The mechanisms of action are completely different, but both act to reduce serum cholesterol levels. Anthem approved the Zetia prescription and has been paying for it for roughly five years. Here’s the situation: When I recently ordered a Zetia refill from Express Scripts, somebody there saw that Zetia required a step-therapy approach…other meds had to be tried and failed (been there, done that) before Anthem would authorize that prescription. Instead of filling the Zetia Rx, like they previously had, they called my doctor and told her that I needed to use something else before the Zetia could be filled. I don’t know who suggested Crestor, but that’s what they replaced it with. I called Express Scripts. After a very long conversation, they agreed to fill the Zetia prescription. Today, I received a letter in the mail that they also cancelled my Lipitor prescription because Crestor and Lipitor are both statins…something I’d pointed out to the rep on the phone call. So…I’m treating it as unsolicited merchandise under the mail order marketing laws. I didn't order it. I wasn't notified ahead of time about the change. My credit card is on file for drugs that I order, not ones that I didn't. I buy a lot of merchandise on-line, but no reputable vendor sends out merchandise that isn't specifically requested...can you imagine Amazon doing so? I've filed a charge dispute with American Express and they’re taking care of it, but I wonder how many tens of thousands of people have had similar problems. This seems like a class action lawsuit just waiting to happen. Comments? Once in a while, carriers do really great things. This is one of those times, and we want to acknowledge it. "A legally blind 16-year-old runner, Sami is traversing cross-country courses this season with her new guide dog, Chloe, and is believed to be the first high school athlete in her home state of Ohio to compete with an animal." The teen and her Golden retriever pup run for fun and in competition. But Chloe wasn't free, and Sami's family needed a hand to help her dream become a reality. And that's where Union Central Life (a division of Ameritas) comes in: Chloe was sponsored as the result of funds raised at Union Central Life (Cincinnati) from casual days. They sell tickets - often $3 each - to dress casually (jeans) as a fundraiser. 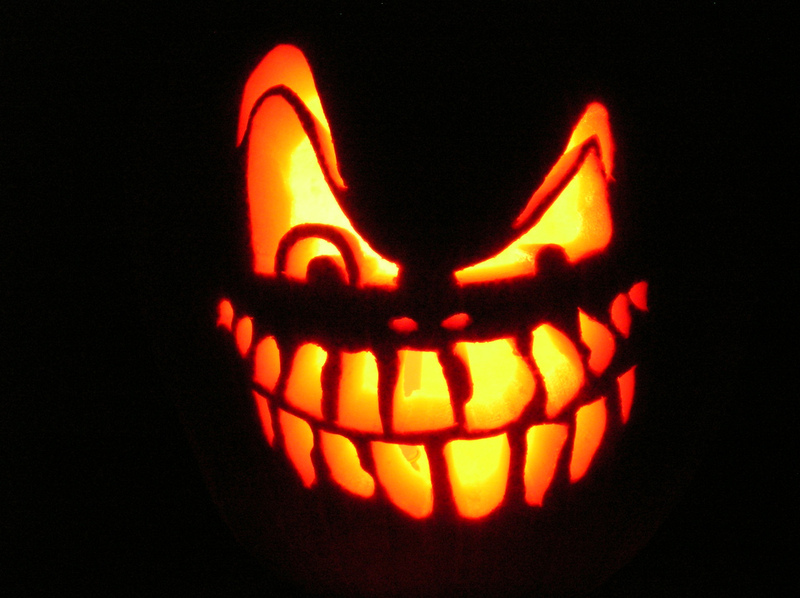 When the ghouls and goblins come around to terrorize you tonight you might want to screen your candy bin for licorice. If you are going to hand out the gooey black or red chewy candy, you might need to include a warning label. The U.S. Food and Drug Administration warns the tangy-tasting morsel can be tricky if eaten in large amounts by those with high-blood pressure or heart conditions. FDA food experts say licorice contains a compound called glycyrrhizin, a sweetening chemical that comes from the root of licorice shrubs which are mainly grown in Greece, Turkey and Asia. The glycyrrhizin compound can lower potassium levels, which can lead to abnormal heart rhythms (arrhythmia), high blood pressure, edema (swelling) or even congestive heart failure. Hopefully the scoundrels at your door do not have heart or BP issues, but their parents may have. We know some of the candy in the beggar's bags is consumed by family members who put their kids up to the annual shake down. "A dogged freshman lawmaker who refused to budge from the House chambers ... until the Patrick administration came clean on how much taxpayers coughed up last year for free health care to illegal aliens finally got his answer..."
According to the Boston Herald, that was spread over 55 thousand illegals, at an average cost of $1,700 per. Now multiply that over the 58 states and however many additional tens of millions of people, and you begin to get a rough idea about cost. Now that's a scary (true) story. Last week, we reported on the little tug-o-war between Walgreen's and Express Scripts. "[W}e are not planning to be part of Express Script's pharmacy provider network as of Jan. 1, 2012 ... The following health plans in your area use Express Scripts and cannot ensure continued in-network access to Walgreen's in 2012: Anthem Blue Cross and Blue Shield." Take one of the two primary carriers off the Rx table, secure in the knowledge that there aren't a gazillion other pharmacies available to provide what is, in reality, a simple commodity. Given that you can't swing a cat without hitting a CVS, or Walmart or Target (trust me, I've tried), it should take all of, oh, maybe five minutes (max?) to find an alternate distributor. According to their website, Walgreen's filled "778 million prescriptions in fiscal 2010." So, they're about to instantly lose over 90,000,000 of those. Now there's a great business model: voluntarily ditch 11% of your customer base. "[Medicaid], funded jointly by the feds and the states, was devised to cover the poor. But if a provision in [ObamneyCare©] isn't changed that could be the case for people with pretty healthy incomes." Turns out, even folks in their early 60's making as much as $60,000 a year could be eligible for Medicaid; that's because the bulk of Social Security benefits aren't taxed, so they don't count toward Medicaid eligibility. When FoIB Holly R tipped me to this article, my response to her was "Um, as far as I can tell, that’s a FEATURE, not a BUG. Remember, the end-game here is single-payer." Take 2 and skip the Oncologist? For a while now, folks have been taking low doses of aspirin to lower the risk of heart disease, but who knew that the little pills might be a strong defense against cancer? "Taking aspirin regularly can cut the long-term risk of cancer ... British researchers found it can reduce the risk by 60 per cent in people with a family history of the disease." "Professor Sir John Burn from Newcastle University, who led the research, said: ‘What we have finally shown is that aspirin has a major preventive effect on cancer but it doesn’t become apparent until years later.’"
In other words, this is a long-term commitment, not an instant panacea. Still, it's an inexpensive way to manage cancer risk, and readily available to the public. The potential downside - increased risk of stomach bleeding and the like - seems to be outweighed by the actual benefits of the regimen. No final decision yet on the "chewable vs swallow with water" debate. One of the first things one learns in Insurance 101 is that you're not allowed to profit from illegal acts. So, for instance, you're not going to have a lot of success collecting on your home-owner's insurance if you burn down your house (apocryphal cigars notwithstanding). And murdering your kids for their life insurance? "A South Carolina mother who told police her son killed three family members and himself has been charged with quadruple murder because she wanted their life insurance money." Julie Ferguson hosts next week's CavRisk, and wants your risk-related post. Entries are due by Monday (the 31st). HWR co-founder (and all-around mensch) Joe Paduda hosts this week's outstanding round-up of healthcare wonkery. "MPAC [Medicare Payment Advisory Commission], whose decisions have the force of law, has voted to impose drastic pay cuts on all doctors under Medicare ... The cuts will effectively reduce the real pay for specialists by 50% over the next ten years ... and cut general practitioners' pay by one-third over ten years"
The net effect of these cuts will be, of necessity, a dramatic reduction in the number of primary care docs willing to see Medicare patients, and even fewer specialists willing to treat them. This is often called rationing, but I think it's even worse: it's relegating the most vulnerable among us, those who have "paid their dues" and relied (perhaps unrealistically) on the implied contract that required them to pay Medicare taxes for all those years. In the longer term, though, this bodes ill for those under 65, as well. For one thing, it demonstrates conclusively that the aforementioned contract is binding only on the citizenry (death, taxes and all that). But consider this: if reimbursement rates are slashed, then physicians' incomes are reduced. So where's the incentive to spend all that time and money in medical school? If there's no realistic path to financial success, then we've explicitly said "my son the doctor? Oh, I hope not!" Baby, bathwater, some assembly required. Got this in email from Anthem, but it is actually pretty industry-standard verbiage. "When submitting Anthem Medicare Advantage business, please make sure you are using the correct version of the scope of appointment. The standard template which contains “CMS Approved 09/27/2011” on the bottom of the first page is what you need to use. If this is not used, Anthem will be unable to match the SOA to the application image making it non compliant with CMS. Attached is the correct SOA that you will need to use." Immigration policy is a hot topic thanks in part to the political landscape, Herman Cain's electric fence and Rick Perry's educate them at taxpayer expense proclamations. Of course Obamneycrap is also front and center thanks to the upcoming election and pending Supreme Court docket. So this is a two-fer. The back story is an illegal immigrant is seriously injured in a workplace accident. And he does not have health insurance . . . The University of Texas Medical Branch at Galveston has been treating Francisco Martinez for three months since a workplace injury left him paralyzed from the chest down. Since Martinez does not have insurance, the hospital is trying to point him back to Mexico, according to his wife. Brandi Cullen Valderram, Martinez’s wife, told KHOU-TV that UTMB has been telling them that there’s no other option but for Martinez to return to Mexico, even offering the illegal immigrant a free flight back, which he doesn’t want to accept. Doesn't want to go back. Maybe the health care system in the U.S. is superior to Mexico . . . especially when it is free. When is a pill not a pill? Well, according to Walgreen's, "[o]ur product is not a pill; our product is a health outcome." So far, so good, In this case, the PBM is Express Scripts, and their supplier is the friendly neighborhood Walgreen's pharmacist. The latter has decided to enhance its service offering by helping customers manage their own prescriptions. This makes some sense: in theory, the pharmacist knows about the patient's meds and any interaction issues. He (or, of course, she) is often a trusted member of one's health care delivery team. The problem is that this "enhanced" service isn't free, so Walgreen's is nudging Express Scripts (the PBM) to up their reimbursement rate. It is, but only because we (theoretically) value that extra step on the pharmacist's part. In this case, "Express Scripts' members account for about 90 million of the prescriptions Walgreen fills each year;" that's a lot of pills (and ointments, etc). If the two parties can't reach an agreement, then a lot of current Walgreen's customers will soon be former Walgreen's customers. And it's not like there aren't other options: with a CVS on what seems like every corner, not to mention K-Mart and WalMart and Target all vying for a piece of that rather large (and lucrative) pie, Walgreen's may end up with a rather severe headache. "Whereas other suits hinged mostly on a challenge to the law's "individual mandate" ... the Liberty University case also challenged similar requirements on employers to extend coverage to workers." Currently, employers are under no requirement (other than market forces) to offer group health insurance to employees. Under ObamneyCare©, that all changes: employers will be forced to install ever-more expensive group health plans or face a stiff penalty. As we've long remarked, this is a no-brainer for employers: given the burdensome new minimum health insurance packages required under ObamneyCare©, any fines (aka taxes) will look like a bargain. Remember that phrase "if you like your insurance, you can keep your insurance?" Dr Jacqueline (PhD) hosts this week's literary-themed edition of Grand Rounds, presenting a beautiful and eclectic collection of interesting medblog posts. Folks who rely on Medicaid are about to get short-sheeted. With states running out of money (and the federal government running out of folks willing to lend them money) the time has come for Medicaid patients to get well or die. The taxpayers can't continue funding your health care. In some states Medicaid patients will max out their hospital coverage in as little as 10 days. Arizona, which last year stopped covering certain transplants for several months, plans to limit adult Medicaid recipients to 25 days of hospital coverage a year, starting as soon as the end of October. Hawaii plans to cut Medicaid coverage to 10 days a year in April, the fewest of any state. Most private insurance plans don't limit hospital stays. For fiscal 2012, the association estimated state Medicaid spending will rise 19%, largely because of the end of the federal stimulus dollars. The program served 69 million people last year. In January of 2014 an estimated 18,000,000 people will find themselves on Medicaid courtesy of Obamneycrap. The government came out with its final regulations for ACO’s, or Accountable Care Organizations, all 696 pages of information. As a medical practice manager, my main concern is still “How do I get paid?” The original scheme was a capitation plan, similar to the HMO’s of the 1980’s. In this plan a physician receives a set amount of money to care for the patient, medical care, labs, imaging, etc. If the physician spends less than the insurance company paid him, then the doctor keeps the left-over. If the treatment plan goes over what was paid then the doctor not only is not paid for his treatment, he may owe the insurance carrier. Running the word capitation through the legislation I came across this paragraph. “Comment: Several comments reflected confusion about the proposed payment model under the Shared Savings Program. For instance, some commenter’s asserted that the program will, in fact, make partial capitation payments, or questioned if providers electing not to participate in the program will continue to receive payment as usual. The reason for ACO’s is to deliver quality healthcare for fewer dollars. It is thought that if the provider is in charge of the money then he will be more judicious on how it is spent. The only problem with this mindset, and why capitation models do not work, is that human beings are not mind readers and all people have different health care needs. A set amount of money per person per year is assuming that the person will not have any life threatening injuries or illnesses. It assumes that diseases that are expensive to treat will not be diagnosed. It assumes that the worst health care issue the individual will encounter is a cold. Fee for Service plans assumes that each medical patient is unique, that care and treatment will be based on the need of that individual and payments will be made for appropriate services rendered, regardless of cost. The first paragraph of the 696 page document speaks to new payment methods for Medicare patients. “Value-based purchasing is a concept that links payment directly to the quality of care provided and is a strategy that can help transform the current payment system by rewarding providers for delivering high quality, efficient clinical care.” This is an unneeded process because providers are rewarded right now for delivering high quality, efficient clinical care through the legal system and malpractice suits. If a physician practices poor medicine, then he risks having a malpractice suit brought against him and in some cases, criminal charges. The legal system already has in place safeguards against poor medical practice. The concept of an ACO is a way to enable the government control over healthcare treatment by pre-setting how much your medical care should cost. In our current system, even with heavy government control, your medical care is still your decision. "Wal-Mart is substantially rolling back coverage for part-time workers and significantly raising premiums for many full-time staff ... Citing rising costs ... any new employees who average 24 hours to 33 hours a week will no longer be able to include a spouse as part of their health care plan." What was that phrase we kept hearing? Gotta love the smell of hope and change. As Obamneycare continues an assault on the U S health care finance system another health insurance carrier bites the dust. American Republic insurance carrier will withdraw from the market. The move means 110 employees will lose their jobs over the next three years — 40 in Des Moines and 70 in Omaha — and signals the widespread anxiety among insurance companies over the raft of regulation resulting from the health care overhaul bill. “It’s a fairly predictable consequence of the regulation,” said Michael Abbott, the president and CEO of the American Enterprise Group, American Republic’s parent company, which employs about 330 in metro Des Moines and has its headquarters downtown. This is at least the second Iowa company to exit some portion of the health insurance market since passage of the health care overhaul in March 2010. Principal Financial Group exited the small group health insurance market later in 2010. Fewer health insurance carriers means less competition. 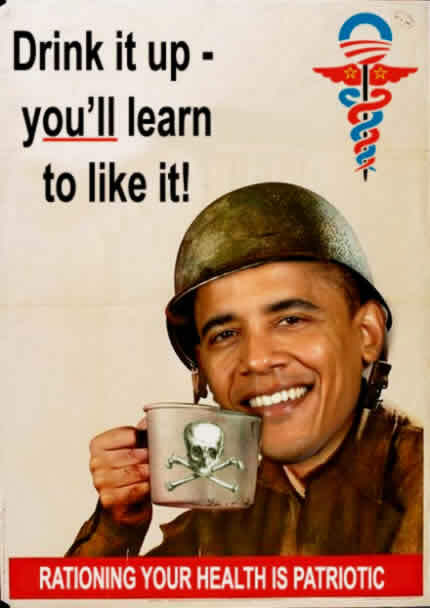 The result will be higher premiums, not lower as promised by the Obama administration. How is this Obamneycare working for you? Remember: I'll Drink to That! "Researchers analyzed 143 studies that looked at the association between moderate alcohol consumption and mental abilities ... most showed that drinking moderate levels of alcohol showed no effect or a decreased risk of dementia and cognitive impairment"
The research stretched back to disco days (1977), and seems to reinforce the idea that, while it's not a good idea to get bombed on a regular basis (which, as it turns out, could actually increase your risk), a reasonable amount on a regular basis could help reduce your risk of these dread conditions. Not the brightest lights in the (Boston) harbor, are they? As we've long noted, one of the biggest problems with RomneyCare© is that increasing the number of insureds means that demand for health care increases. And when demand increases, what did they think was going to happen to prices (given the fact that they're not exactly drowning in doc's)? The plan that seems to be most likely to be implemented is a variation on the "global billing" model. Now, this has some advantages: for one thing, it seems likely to eliminate the problem of "hidden providers." It's hoped that this method would essentially "crack the code" of increasing costs. There is no "secret code" to increasing health care costs. There is a finite, limited supply of health care providers and facilities, and they are all in business to make money (or at least not lose too much). When more people have third parties (eg insurers) paying the lion's share of their health care tab, they're going to demand more services. That leads directly to, oh what's that word? How do we know that the dim bulbs in Beantown have no clue? "Those who led the 2006 effort to expand coverage readily acknowledge that they deferred the more daunting task of cost control for another day ... Predictably, the plan did little to slow the growth of health costs that already were among the highest in the nation." In fact, overall health care costs in the Bay State are 15% greater than the national average, while for the past couple of years, health insurance premiums there have risen upwards of 10% a year. Rock, hard place, some assembly required. The Utah Health Insurance Exchange has lost a player. For one of the few existing exchanges that seems to have a future, losing Humana could be a lone wolf or it could be the start of a domino effect. Humana’s departure comes at a time of great uncertainty for Utah’s experimental insurance marketplace, which was slow to catch on but posted steady gains in enrollment this year. State officials hope to preserve its unique design while receiving mixed signals from the Obama administration about whether that’s possible. If Utah is looking to the clueless wonders in DC for guidance they are in worse shape than I thought. Exchanges are the cornerstone of the president’s signature health overhaul. And though Utah is ahead of the game with one of two operating exchanges nationally, it needs tweaking to meet federal standards. Participating is expensive for insurers, which have had to handle applications manually. “It creates a work mechanism for us that’s completely different than we have inside the company,” said Regence BlueCross BlueShield regional vice president Jennifer Cannaday at a recent advisory board meeting for the exchange. The costs are significant, “they are not sustainable,” and they will require a technological fix that currently doesn’t exist, Cannaday said. Paper applications at an online site? But “it looks bad” for a carrier to be a leaving, said Sweat, who hopes others don’t follow. Without Regence BlueCross BlueShield and SelectHealth, which own more than 60 percent of the state’s health insurance market, the exchange would cease to function, he said. Also, Sweat explained that without Humana there are only three carriers pricing policies on the exchange, which could mean higher rates. Obamneycrap will create fewer options for consumers, not more. The declared goal of creating more competition and lower pricing is a lie. It will not happen. Van Mayhall makes his CavRisk debut with an outstanding collection of risk-related posts. Each entry is highlighted and annotated with a deft touch. Great job, Van, and welcome to the (hosting) club! Applying for Medigap in Georgia? If you are not "guaranteed issue" as defined by Medicare you will be required to answer a few health questions. Every Medigap carrier is different but most use a 5 year look back and want to know if any of the following are true. In the last 5 years have you been diagnosed with, or treated for any of the following medical conditions? Heart attack, pacemaker installed, heart valve replacement, stents, irregular heart beat, COPD, or stroke? Internal cancer, leukemia, Hodgkins, or melanoma? Insulin dependent diabetes, AIDS, ARC, kidney disease or renal failure? Are you cofnined to a wheelchair or do you need a cane or walker for normal daily activities? Are you confined to a nursing home or have you been hospitalized more than twice in the last 2 years? If you answer "yes" to any of these questions you will not be offered a Medigap plan unless you are subject to a Medicare approved guaranteed issue enrollment period. "Elderly patients are being condemned to an early death by hospitals making secret use of "do not resuscitate" orders"
Here in the 'States, Do Not Resuscitate (DNR) orders are "affirmative;" that is, one must pro-actively sign a special form indicating that this is indeed one's desire. Absent such permission, it's generally difficult to legally force a health care provider to withhold or end treatment (cf: Terri Schiavo). "The orders ... are routinely being applied without the knowledge of the patient or their relatives ... At another hospital, junior doctors freely admitted that the forms were filled out by medical teams without the involvement of patients or relatives." How's that "first, do no harm" thing working out for the Much Vaunted National Health Service©? "The findings emerged in spot checks of 100 hospitals ... A charity for the elderly said the disclosures were evidence of "euthanasia by the backdoor"
Of course, it's an easy "fix:" dead grandma's don't have much to say or about which to complain. And talk about savings: cutting off medical care is a sure-fire way to meet funding quotas, especially when end-of-life care has become so expensive. Here, of course, we simply lop off a half trillion dollars from Medicare to fund a major health care overhaul (to the immediate benefit of Junior Americans). Which begs the question: are American seniors safe? Dr Sumer Sethi hosts this week's tasty collection of interesting medblog posts, sprinkled with beautiful photography. Now that HHS Secretary Shecantbeserious has subjected the CLASS Act to a very real Death Panel, a postmortem is appropriate. Let's note first that we called this some time ago (not that this was any great feat of prognostication). The fact is, this program was never fiscally sound or sustainable in the first place. Then, too, Long Term Care insurance is one of the two most complicated products in the life/health marketplace, which made it a less-than-ideal candidate for any type of government-run plan. There's a larger, more immediate issue, though: the "savings" anticipated by the CLASS program were among those counted on to help fund the rest of ObamneyCare©, and those (alleged) savings are now gone in a puff of smoke. This leaves the rest of the initiative struggling even harder with regard to funding, even as we begin the last laps towards full implementation. Finally, it's fascinating to me that a cornerstone of the President's signature legislation has just been deleted by fiat, courtesy of his own agency. No vote, no public discussion or disclosure, just...gone. The New York Times reports that scientists researching the Black Death have solved its genetic code and hope to recreate the microbe itself. Regular readers may be puzzling over the lack of coverage here regarding the "news" that various RomneyCare designers were brought in by the White House to advise the Obamastration on implementing its signature legislation. Van Mayhall makes his CavRisk hosting debut next week. Entries are due by Monday (the 17th). Funding Obamneycrap would come from many sources, including a tax on white people. The tanning bed tax was estimated to bring in $200 million per year. The first 9 months of 2011 has generated only $54 million which means the expected revenue will be less than half what was expected. I guess white folks (other than John Boehner) are learning to like their natural skin color. This is par for the course given all the other projections used to sell Obamneycrap to the public. All the promises of premiums dropping and no more "discrimination" of children have failed to meet the expectations. Regardless of one's stance on the overall benefits of ObamaCare©, it is the law, and insurers and providers are having to live with it. "[HHS Secretary Shecantbeserious] has yet to write rules — mandated as part of [ObamaCare©] — that would force drug and medical-device companies to disclose their gifts, fees and payments to doctors." "[ObamaCare©] required that disclosure rules be drafted “not later than October 1, 2011,” a deadline that came and went quietly and without any explanation from [Shecantbeserious]." So the rule of law applies to thee, but not to me? As the cited article notes, ethical issues "can arise when doctors have substantial financial ties to the drug companies that aim to influence their prescribing habits." Of course, "ethical issues" don't seem to bother the folks tasked with actually implementing these rules. Chris Fleming hosts this week's no-nonsense round-up of health care policy and polity. There may be no fluff, but Chris obviously took the time to read each post, adding helpful context. "Obviously these plans were under-priced at the time.....so it is likely that a 40% rate hike would probably not even bring these plans up to today's level of LTC premiums." A couple of months ago, our review of the latest industry figures showed that Hancock and Gewnworth continue to dominate the Long Term Care insurance (LTCi) market; now, Genworth's following Hancock's lead on the premium increase front. "Effective November 21, 2011, Genworth will introduce Privileged Choice Flex in Ohio ... Privileged LinkChoice Flex will have roughly 9% higher premium than the current offerings." No word yet on the fate of in-force plans. (Almost) Everything you need to know about Medicare Annual Election Period in Georgia. A simple path to finding affordable coverage in the Medicare maze. The biggest misconception about Medicare AEP is that it applies to everyone. Not so. If you already have a Medicare Advantage plan, or you want to SWITCH to an Advantage plan (including PDP), AEP is for you. During the Annual Election Period you may make your initial purchase of an Advantage plan or make a change in your coverage. If you don't like the Advantage plan you have now, you can switch. If you don't like original Medicare and a Medigap plan, you can purchase an Advantage plan. Similar rules apply to PDP (prescription drug plans, otherwise known as Medicare Part D). During AEP you may switch PDP's or purchase a PDP for the first time. If you have a Medicare supplement plan you can switch to another plan with the same carrier or a new carrier at ANY TIME DURING THE YEAR. You do not have to wait until AEP because AEP does not apply to you. Often the best time to compare Medigap rates is in December or right after the first of the year. Many Medigap carriers such as Blue Cross and AARP bump their rates for everyone in January. Unlike most carriers that offer a 12 month initial rate guarantee, BCBSGA and AARP use a common renewal date for rate increases. Changing Medicare gap plans is relatively easy but you will be subject to medical underwriting. Most people can pass with flying colors. Georgia Medicare Plans will pre-screen you in 3 minutes or less. If you qualify, you will be shown the best Medigap rates for selected plans in your area. The biggest challenge for most seniors is deciding between original Medicare and a supplement plan or picking one of the Advantage plans. Medicare plus Medigap is a relatively simple task since all Medigap plans with the same letter (A, B, C, F, G, N . .) are identical. Advantage plans are as varied and confusing as repairing a transmission on a car. Almost every doctor and hospital in Georgia accept Medicare assignment. This means if you have Medicare and Medigap you can go almost anywhere in the state or country and not have to worry about being treated. The same is true for your Medigap plan. If your doctor or hospital accepts Medicare assignment they will also accept your Medigap plan. Your doctor does not know who your Medicare supplement carrier is nor do they care. The claim process is simple. Your doctor files the claim with Medicare. In most cases in two weeks or so Medicare adjudicates the claim and sends it on to your gap carrier for payment. If Medicare approves your claim your Medigap carrier MUST pay the claim, no questions asked. Most gap claims are paid within a week after receipt from Medicare. When your doctor accepts Medicare assignment there are no claim forms for you to complete. Everything is handled for you by your doctor. While most doctors and hospitals accept Medicare assignment only about half of the doctors participate in Medicare Advantage plans. When you purchase or switch to an Advantage plan a new set of rules apply. Your regular doctor may not participate in the Advantage plan you pick so choose wisely. This is especially true with specialists. Your primary care doctor may accept your Advantage plan but your specialist may not. Advantage plans are confusing. Insurance carriers use gimmicks to make it seem like their plan is better than the others. A common practice is the $0 premium plan. You get health insurance and pay nothing for it. Advantage plans have a lot of moving parts. 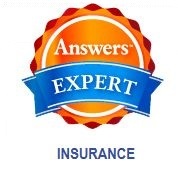 At any time you may be expected to pay a deductible or copay if you plan on using the services of a doctor or lab. That may not be bad as long as you are healthy but when your health takes a turn for the worse the copay's and deductibles add up. You can easily find yourself spending $3000 - $6000 or more out of pocket compared to less than $200 with most Medigap plans. While you won't find Medigap plans with $0 premiums most of the Advantage plans are in the $60 - $80 range. For about the same amount of money you could have a Medigap plan with much less out of pocket. And yes, this is the same American Medical Association that rallied in support of ObamaCare©, which explicitly counts on leaving the cuts in place. Their hypocrisy is actually even more profound, when one considers that last year, the "American Medical Association [opposed] the Medicare "doc fix" included in the tax extenders bill House Democrats [were] preparing." At least they were consistent, though: earlier this year, "[a]t a hearing of the House Energy and Commerce subcommittee on health, the American Medical Association called for scrapping the SGR" (Sustainable Growth Rate, aka "Doc Fix). As the saying goes, we already know what the AMA is, now we're just haggling over price. Today I happened on a statistic published by UK's National Health Service about a year ago: the NHS is the largest employer in Europe, with more than 1,300,000 employees. Are you curious how a bureaucracy of that magnitude might relate to the US? Well of course, I was. The 2010 populations were about 62 million in the UK and about 307 million in the US. A rough ratio based on populations suggests an NHS-like health system in the US would require something like 6,400,000 employees. That would make such a system the largest employer in the US--and probably in the entire Western Hemisphere, if not the whole world. 6,400,000 is double the number of employees in the US Department of Defense, which employs about 3,200,000 people. By the way, that's also much larger than the Chinese People's Liberation Army, too. Looking at it another way, 6,400,000 is about equal to the combined number of employees in the ten largest private employers in the US. (i.e., not counting such federal behemoths as USPS, Department of Education, EPA, etc). Looking at it yet another way, the largest private employer in the U.S. is Wal-Mart, with about 2,100,000 employees. An NHS-like bureaucracy in the US could well be three times the size of Wal-Mart. Lucky for us, we probably won't ever have an NHS-like system in the US. Don't ya think? And luckier still, regardless how many employees ObamaCare eventually hires, federal deficits will actually reduce because of it. Oh yeah, and don't forget - after ObamaCare all our children will be good-looking and smarter than average. Regular IB readers will recognize Jason Shafrin as my favorite health care economist, best-known for hosting Cavalcades of Risk and Health Wonk Reviews. This week, he's pushing his own envelope, hosting Grand Rounds for the first time. His debut edition is here, and it's a doozy: from mini-meds to bodily fluids, you're sure to find something interesting. The tanning bed tax implemented last year to fund Obmaneycrap will have a few less contributors to the fund. Governor Moonbat has decided that teens in California will have to get their tan the old fashioned way. Under legislation signed by Gov. Jerry Brown on Sunday that is now the nation's most restrictive, boys and girls under 18 are banned from using tanning beds as of Jan. 1. Current law allows minors who are at least 14 to use an ultraviolet tanning device with written permission from their parents. I guess they will just have to go to Jersey to get their tan. Autistic children can be a challenge in many ways and the cost of caring for them can sink a family from a financial perspective. While acknowledging the high cost of care for autistic children the state of California decided to push through legislation making it illegal for insurance carriers to deny education related claims. (Governor) Brown said Sunday that he had signed the bill despite concerns about its costs. The California bill will require coverage starting in July 2012. Opponents say SB946 will increase health insurance premiums by millions of dollars just as many people and businesses are struggling to afford their insurance coverage during tight times. In other words, the public be damned. So what if this has an effect on the overall cost of health care and drives premiums up? The cost of treating and educating autistic children can easily run $60,000 or more each year. The federal government will establish "essential health benefits" under national health care reform, Brown noted. If the coverage under SB946 isn't included as an essential benefit, the coverage will automatically disappear when the bill expires on July 1, 2014. He referenced a recent Institute of Medicine report that said the top priority under the new federal law "is finding the right balance between making coverage available for people to get the care they need and doing so at a cost we can all afford." I find it incredulous that the government at state and federal levels is requiring insurance companies to cover more items while at the same time promising to lower premiums. Apparently they never heard that you can't put 10 pounds of potato's in a 5 pound sack. Right upfront, I'll acknowledge that this is a little "inside baseball," but it could be a big deal for some readers, and I think it points out how important accurate record-keeping can be. Many (most?) folks know that when a bank account goes dormant for a long time, the balance is transferred to the state for safe-keeping until such time as the owner or his/her designee steps forward to claim it. When a person dies, if a claim isn't made, then those proceeds are also left "dormant." The challenge is that, up 'til now, there's been no consistent, central database of these unclaimed funds. From the insurance company's perspective, it's both a blessing and a curse: a blessing, because it's essentially "free money" earning interest. A curse because it's an accounting boondoggle (imagine if you had 200 or more outstanding checks on your personal account, still sitting out there year after year). "...the decision confirms a National Underwriter article Sept. 5 indicating that state probes into life insurer unclaimed property practices are escalating. Specifically, a securities analyst said today in an investment note that MetLife is under investigation by 30 states for its unclaimed property practices." I have decidedly mixed feeling about this development: on the one hand, if Met (or any other carrier, for that matter) is somehow abusing the funds it has yet to disburse, then that's a problem. But I also think that this speaks to a lack of seriousness on the part of insureds who haven't taken the (nominal) time to make sure that there's an accurate inventory of their policies. In the classic film "The Princess Bride," Mandy Patinkin's character is dubious of another character's understanding of a rather common term ("inconceivable!"). He famously observes: "You keep using that word. I dunna think it means what you think it means." Madam Secretary, this word "affordable," I dunna think it means what you think it means. Let's start with the government's definition of "basic." It includes coverage for "outpatient, hospital, emergency, maternal, newborn and children's care, prescription drugs, mental health and substance abuse treatment, rehabilitation, labs, prevention and wellness." All of which sound reasonable, but then, so does GPS, a CD player and cruise control. Get the picture? There are folks who would like a new car, but realize that all the shiny "goodies" add to the price. These folks want a "basic benefits package" that includes 4 tires, a working engine, and decent mileage. Imagine what might happen if they were forced by the government to also purchase an extended warranty and sunroof. Well, that new car suddenly becomes unaffordable. Same with insurance: many folks would be quite happy to have catastrophic coverage, maybe some reasonable co-pays, and coverage for more expensive med's (after all, generics are $4 most places now). What they want is to know that if they need chemo, or develop MS, or have a stroke, they won't lose the house. What they can't afford is all the other bells and whistles that abruptly take the plan out of their financial reach. Especially since they'll face jail time if they refuse to buy. "Few small employer plans currently offer comprehensive mental health coverage, for example. As such services are added, the total cost of the package should stay within a realistic budget target to be set by the administration. That would help keep premiums affordable." "The shortages were, in fact, a byproduct of price controls imposed by President Nixon in August 1971, which prevented oil companies from passing on the full cost of imported crude oil to consumers at the pump." Now, substitute "health insurance" for "gasoline." 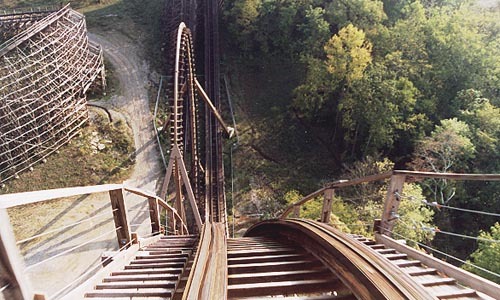 Sometimes, insurance policies fall outside the obvious categories of life/health and property/casualty. For example, Personal Guarantee coverage seems to fit comfortably into neither one. And so it is with Home Value Protection, which "is insurance that protects you against real estate market volatility." Anyone who's been following the news recently knows that the housing market makes The Beast look tame by comparison. "At the start of the policy, the amount of insurance coverage is established ... When it's time to move, if the local housing market is down ... and you sell your home for less than the Protected Home Value, you are eligible for a claim." Seems simple enough. I'm sure there's (much) more to it than that, but on its face, this seems pretty interesting. I'd be interested in readers' comments about its perceived value. 68 million members of the Roman Catholic Church in the U.S. have come under attack by none other than the Obama administration and the Department of Health and Human Services. In the 2,000 year history of the Church and a long line of successive leaders starting with the Apostle Peter the Church has survived assault from many fronts. Long after the fall of the Roman Empire, the Church has been a rock, not just for their followers, but for civilization itself. The Church even survived a 500 year battle with Islam, but now one of the core tenets of the Church is in the cross-hairs of Obamneycare. Obama himself has drawn a line in the sand and dared the Catholic Church to cross the line. Obamneycare makes provisions for exemption for certain religious groups including Muslims, Christian Scientists, Scientologists, Amish and Native Americans. But Christians and Jews need not apply for an exemption. While there is a religious exemption from Obamneycare it appears the Catholic Church will have to yield to the boot heel of HHS. At this point there does not seem to be a way for Catholics to follow their faith without coming into direct conflict with the mandates of the Obama administration. And you, sir, are stomping on our religious freedoms. 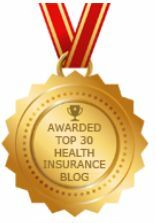 The nomination and recommendation period for the LexisNexis Top 50 Insurance Law Blogs of 2011 ends tomorrow (Friday the 7th). There is still time left for readers to show support for InsureBlog, by telling the L-N folks us why we should be included in the Top 50, but it's running out. We would REALLY appreciate it if you'd support our blog by writing a comment at the bottom of the nomination post (click here). You have to scroll down a bit to find the comment box. We last discussed genetic testing this past summer, reporting on a new protocol that could seriously help with better diagnostics and (ultimately) outcomes. Thanks to FoIB Holly R, we learn about a new test that can help determine whether or not one is a "carrier" of a genetic disease. "Carriers can be identified for ... genetic diseases by using a very new saliva test that is easier to administer and is less expensive. Out of pocket expenses are not more than $350.00 per person, and often less"
The old blood-draw method could cost north of $4000, so this represents a real savings, and may in fact help save lives. The Gray Lady weighs in on the news that, because of ObamneyCare©, health insurance premiums have skyrocketed. Well, they got it half right: health care costs drive health insurance costs. But what about the oft-repeated, but thoroughly debunked claim that insurance companies continue to rake in obscene profits? Well, we've dealt with that before ourselves. "Using the industry average profit margin of 3.4% means that insurance companies make about $100 per policy in profits for individual coverage, and a little more than $200 in profits for each family policy." Still think that 3.4% profit margin's "obscene?" Fresh off hosting Grand Rounds, Louise Norris bravely tackles this week's Cavalcade of Risk (and, apparently, the backyard). As usual, she cleans up, raking in some terrific posts and mowing down strawmen. Our client was cited for speeding in her '98 Mercedes. Oh well, these things happen. The state, however, was unsatisfied with her "proof of insurance;" they said they needed such proof for her '99 Jaguar. One little problem: she's never owned a Jaguar, '99 or otherwise. We faxed up the proof of insurance for the Merc, along with a note explaining that this was her one and only vehicle. Apparently, this didn't satisfy the Columbus solons, who promptly ordered her vehicle confiscated and impounded [SEE UPDATE FOR CLARIFICATION]. My colleague spent most of yesterday on the phone with the local constabulary and the DMV, trying to get the matter resolved. Finally, he was able to obtain a hard copy of the actual ticket, which clearly showed the Mercedes as the offending vehicle. That should have been that, but the folks in Columbus said they needed direct confirmation from the locals, who in turn claim that they had already provided the necessary information. Meantime, the client is without transportation while the State continues to claim, in the face of contrary factual evidence, that they are right and she is wrong. Now what, you may ask, has that story to do with health care? Surgeon: Well, Mrs Smith, we're ready for your kidney surgery. Mrs Smith: Kidney surgery?! But doc, I'm here for a fractured ankle. Surgeon: No, Mrs Smith, the folks at HHS say it's your kidney, and they're the ones in charge. Mrs Smith: But I have my family doc's note right here! Surgeon: That's of no interest to me, HHS says your kidney goes, and so it shall. UPDATE: Several people have asked the rather obvious (except, apparently, to me) question: so if they're looking for a Jag, why'd they take the Merc? Here's the answer: she was driving the Merc, but her license was suspended. Since she had already sent in proof of insurance on the Merc, she assumed everything was copacetic. Unfortunately, it was not, and she was pulled over for driving with a suspended license and the car was then confiscated.